Although I’ve been creating and giving presentations for years, it still comes with its challenges. 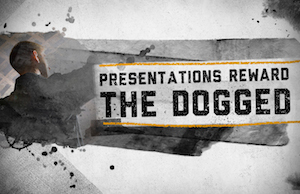 And through it all, I’ve taken away one more important lesson: The greatest presenters are the most dogged. I ran across a recent study (based on the work of Angela Duckworth) discussing why some West Point recruits drop out while others press on. I was happy to discover that a lack of grit was the cause. Basically, it’s not talent or IQ that gets people to the finish line successfully – it’s grit – pure, raw determination and perseverance. If you think your talent or brains will always save you – think again. The reality: The guy or gal who is working tirelessly on their presentation right now may overtake you soon. According to recent studies, procrastination has quadrupled in the last 30 years. Don’t let your presentation make you the next statistic. Start. Right now. Excuses are for children. You can always watch less television, talk less to your Aunt Sally, or wake up earlier. 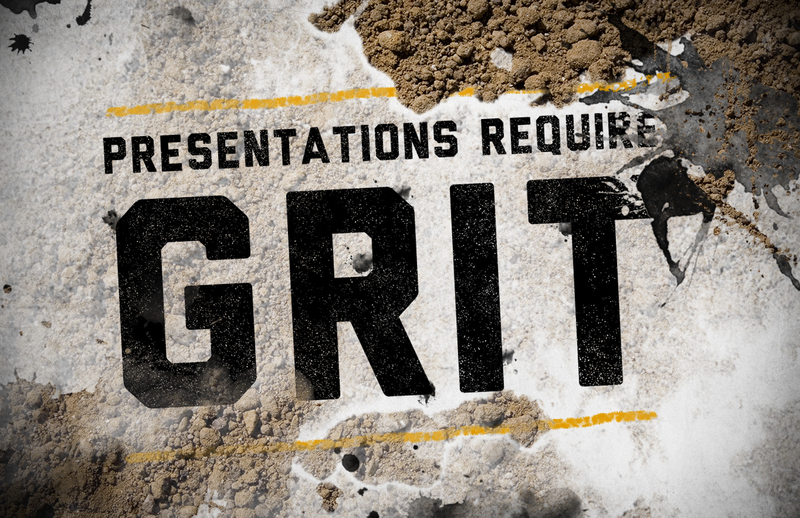 There is no reason to make excuses about your presentations. We have already established that presentations are hard work. Embrace that reality today and learn how to push through when your narrative isn’t working, your presentation design looks awful, or when you can’t seem to nail your delivery. Never give up. 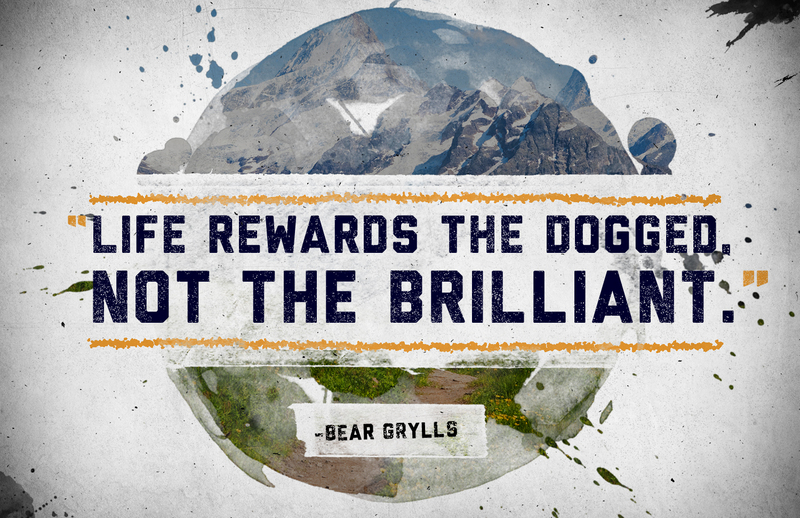 Doing the above will give you the tools you need to win – after all, presentations always reward the most dogged.